May in Annapolis, Maryland means one thing: Commissioning Week. Commissioning Week honors the First Class Midshipmen upon completion of four years at the United States Naval Academy. Parents, family members and guests are invited to attend a series of events at the Naval Academy in honor of the graduates, including the Blue Angels Flight Demonstration, Color Parade, special awards ceremonies and musical performances. It’s a bustling time for the city as the crowds gather, and an extremely proud moment for the families whose loved ones are being commissioned. The energy and patriotism in the air is palpable and, as a local, it’s inspiring to see. When I first moved to Annapolis to launch Snag-A-Slip, Dan Cowens, our founder, led an excursion by boat to the Annapolis harbor to see the Blue Angels fly. Having never seen the Blue Angels in person, it was an amazing experience to not only see the show first-hand, but to also experience it by boat where crowds and buildings don’t obstruct the view and you can see the flight unfettered over downtown Annapolis. Today when people ask me what makes Annapolis so special, the Blue Angels are almost always at the top of my list. 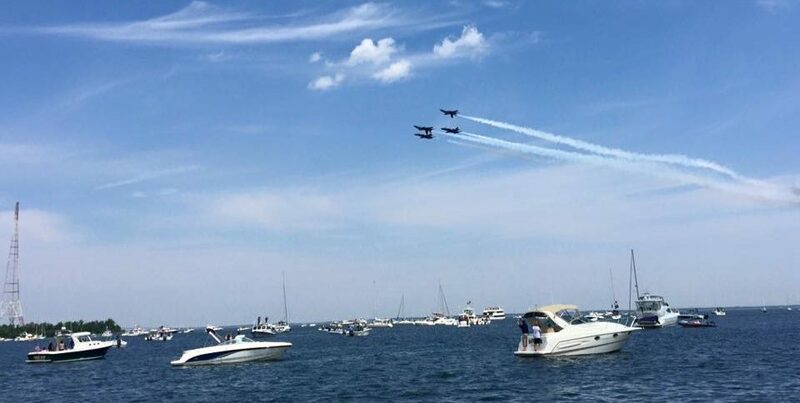 Watching the Blue Angels practice is truly a bucket list experience for everyone – and watching the show by boat in the middle of the Annapolis harbor is a once in a lifetime experience for many. All of us at Snag-A-Slip, Marinalife and Oasis Marinas want to wish the 2018 Naval Academy Graduating Class a warm congratulations for their incredible accomplishment. Thank you all for your service and godspeed. Below, I’ve included some of the larger event dates and times, as well as Annapolis marinas with boat slips available. For a more detailed list of events, please refer to the USNA Commissioning Week Schedule. While most people will travel to Annapolis via traditional means, we know a lot of folks will plan to visit by boat. Below please find a list of marinas with boat slips available during this time. Annapolis City Marina is right in the heart of downtown Annapolis, amidst the quiet tranquility of Eastport. Friendly and knowledgeable staff are on hand to assist you with whatever you need. 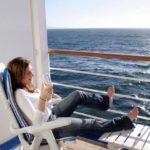 Every slip contains a finger pier, water, electrical hook-ups and free wireless internet. The marina offers a variety of services to set you sailing quickly, including a full service fuel dock and a fully stocked store that includes beer, wine, block and cube ice, Starbucks coffee, snacks, ice cream, and boat supplies. The marina also has bathhouses, laundry facilities, a grill and picnic area and covered, gated parking. Carol’s Creek Cafe is located right there on the water and is known for its Sunday brunch. The restaurant also serves lunch and dinner and has a full bar with a great selection of wine and craft beers. Horn Point Harbor Marina is a quiet gem located on Back Creek in the Eastport section of downtown Annapolis, Maryland. With so much to do, it may be hard to choose! The Annapolis water taxi service will come scoop you up from the marina and bring you right into downtown in mere minutes. You could also take the scenic route with the dog and venture the 15 minute walk through Eastport and over the bridge into town. Here you will find a variety of neat shopping and dozens of delicious restaurants, all while indulging in the historic charm of Annapolis. Port Annapolis marina is a gem on the Chesapeake with a well-maintained, resort-like setting that will appeal to the whole family. Enjoy plenty of on-site amenities, including a pool, playground, sundeck, restaurant and more. If you want to explore the local area, downtown Annapolis and Eastport are easily accessible from Port Annapolis – the marina even runs shuttles during the Summer! If you are looking for social activities, Port Annapolis hosts plenty of summer events and regular gatherings, such as Game Nights, in the lounge. Port Annapolis caters to all types of boaters and all types of boats, so sailboats and power boats are welcome to stay and play. This marina is open year-round and they are currently accepting reservations for 2017. The Eastport Yacht Center is located at the mouth of the Severn River and Back Creek, just steps from downtown Annapolis. Boaters will enjoy this marina’s location right next to the Annapolis Maritime Museum, which hosts many of Eastport’s great events in the summer, including Eastport a Rockin’ and Thursday night live concerts. Even better, this marina is just steps from all the great bars and restaurants on the Easport side of Annapolis, such the local’s favorite tavern, Davis’ Pub, and fine dining options, O’Leary’s Seafood and Lewnes Steakhouse. Nestled on the waters edge of Eastport, Sears Marina is in the perfect location if you’re searching for a quiet getaway with easy access to the upbeat red-brick streets of Annapolis. Situated on Back Creek, the marina is convenient to the Chesapeake Bay and only quick a 4-minute water taxi ride or a 15 minute walk away from the heart of Downtown Annapolis – a Historic gold mine and a boaters true haven. Port Williams Marina offers great deals on transient slips near Downtown Annapolis. As a family-owned and operated marina, docking at Port Williams feel a bit like coming home. Guests can expect smiling faces, friendly service and a laid-back, relaxing environment just a quick boat or car ride from all the action in Annapolis. Boaters visiting Port Williams will appreciate the on-site picnic areas, where they can relax and gather with friends. The marina also offers a water taxi to the heart of town in the Summer so that guests can enjoy the wonderful restaurants, bars, shops and events in Downtown Annapolis. The marina is also a quick Uber ride to and from town. Ramps and a travel lift are available. This marina is dog friendly as well.